There is no greater pleasure in our every day’s life than to return home, let loose and experience freedom. They say that home is where the heart is, and even if you cannot put it in words, this is where you truly belong. But your home is only as great as you take care of it. Returning home to problems such as broken cooking oven, leaky taps, or malfunctioning heater dampens the happiness.Buying a home is a huge investment, and most people strive to buy only one in their lifetimes. Maintaining the home is a lifetime duty—it is both demanding and even expensive. With appliances breaking down due to wear and tear, plumbing requiring constant upgrading and replacements, and all the other small expenses you have to incur can leave a huge dent in your pocket. Which is why you need a simple way to minimize all the expense and have a peace of mind: a home warranty. A home warranty is simply a service contract you enter with a company that promises to replace or repair damaged appliances, and systems of your home, provided the terms and conditions of the deal are met.This is very different from a home insurance policy. While an insurance policy covers your home and its contents from uncertain events, a warranty covers the repairs and replacements of appliances and systems even for faults and damages caused by wear and tear and human error. Note that a home warranty is also different from a manufacturer’s warranty, which typically covers individual items you buy for a specific period of time. a) Major appliancesWhen considering a home warranty, on top of the list of items that your plan should cover are major appliances in your house. These include the oven, refrigerator, television and home theatre systems, washing machines and clothes dryer, microwave, garbage disposal system, ceiling fans, and computers. b) Heating and cooling systemsThese systems include furnaces, water heaters, heat pumps, and air conditioners. Note, however, that portable heaters and air conditioners are typically not covered by a home warranty. c) Plumbing systemsThe warranty also covers the repairs and replacement of the plumbing system. This includes indoor pipes and drains, swimming pools, hot tubs, faucets, and water storage systems such as tanks. d) Electrical systemsElectrical systems covered by a home warranty include the electrical panels, electrical wiring, circuit breakers, garage door openers, electrical alarm and security system, and door bells. What is in for you as a homeowner? So far we have talked about what a home warranty is, but as a homebuyer, how do you benefit? This is the ultimate question that determines whether you will invest in a warranty plan or not.+ They say home is where the heart is, but we all know all this is pointless if your mind is not at ease while at home. The greatest benefit of getting a home warranty is that you will have a peace of mind, never having to worry about all the money you would throw away should any system you depend on break down—something which is bound to happen. + With a home warranty, your cash flow is protected from unexpected repair and replacement emergencies of appliances and systems.+ In case of an appliance or system breakdown, all you will need to do is pick up the phone and call your warranty company. You may have to pay a nominal service fee but you will rest assured that the issue is being sorted by professionals who do that for a living. + Eliminate the headache of dealing with shoddy and crafty contractors. A home warranty exempts you from running up and down looking for plumbers and electricians because your house is flooding or the power mains switch is sparking. + Most major appliances and systems are covered even by the most basic home warranty tier. This means no matter how little your budget is, even a standard plan will go a long way to solve your biggest home problems’. 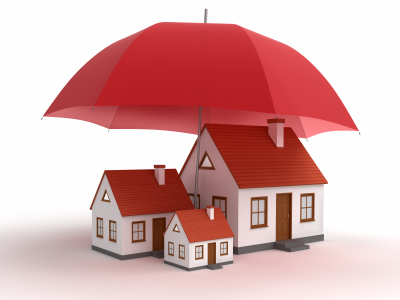 + Home warranties provide ongoing protection for homeowners and are renewable annually. If you want a professional opinion: absolutely.When you buy home devices, the manufacturer warranty often covers them for a year or two, maximum five. There is a reason manufacturers limit the coverage period for these appliances and devices. Most components are designed and built to last just that long and a little longer—just enough for you not to return it for repairs or replacement.Home warranty companies will take over from there and you can have a continued peace of mind and a protected budget. Take the initiative today and find out just why home warranties are becoming more and more popular.